This is a repeat of my post on the CMC forum, sorry but I have no idea what's going on there. The problem we face is that Michelle who is on a weekend rota was informed yesterday that the weekend we were due to arrive on a CMC site she now has to work, both Saturday and Sunday. Our solution when we book commercial sites under similar work commitments that hinder our plans is to pay for the previous night, in this case Sunday, and arrive early on Monday, in essence paying for a pitch but only using it say 2 hours out of the upto 24 hours paid for. This appears to be wrong with the posters, I'm struggling to understand why? I didn't take into account CMC's booking arrangements re payments, that is no deposit and pay upon arrival, but even so, I have made a commitment (contractual) to pay for an extra 24 hours use prior to arrival via my booking, so would still WANT to pay for unused time to facilitate an early/late arrival. oh my for 22 hours you are taking a pitch that someone else can use. I see no problem with what you are doing, in fact I'd be tempted to ring the site, explain the situation and as if you can arrive 2 hours early and save your money. I fully intend phoning the site at least 10 days prior, I was looking for opinions. The denying a pitch was mentioned, but isn't the whole booking process, worldwide, first come first served? I'm happy to pay, after all its us causing the problem, we normally pay under similar conditions due to having paid upfront on commercial sites. Your solution seems by reasonable to me. I was hoping someone else may have experience of the same, after all thousands of people now have weekend work as the norm! You are paying for it, so you can do as you wish as far as I can see. I would call on the day you are booked from and explain that you are coming the next day and will be paying for the whole stay otherwise the site may think you are not coming and give your pitch to someone else. Some CMC sites have a late night arrival areas which could fill the bill. The following morning you could check in only paying a pitch fee for the stay in the late arriavls area. If late arrivals is not available I would be inclined to book the pitch from Sunday. A couple of days prior, or preferably 72 hrs before the booking day to avoid the possibility of being on the CMC bookings naughty step, to your expected arrival on Monday I would contact the site and explain that due to a change in circumstances would not be able to arrive until early on Monday morning. No loss of revenue to the club and you are not pitch blocking. No different to us, we live 30 minutes away from Chatsworth CMC, we usually go Thursday to Sunday, but pay for Sunday night as well so we can stay on Sunday till 7 or 8pm to enjoy the full weekend, or if work permits actually leave on the Monday, either way keeping our options open. It doesn't interfere with other arrivals as the rush has gone and there are passing places for the odd "encounter". One of the reasons for not allowing people on site early is to enable others to leave site - in some cases the access roads may not easily accommodate vans passing each other - Rowntree Park being a case in point and I believe Chatsworth. I'm sure a chat with the site warden would clarify the situation for the specif site. The collective wisdom of this forum, although well meaning is not the same as getting the information and agreement of the site itself. I see what you mean, but how do motorhomes cope when they can and often do, leave and arrive on site many times during a stay. It's easier to back up a motor-home than it is with a car and van so I'd hope that a motor-home driver would use a bit of intelligence and not try and force their way through. I too can't see this being a problem, if you are paying for the pitch, you are not denying anyone else access, like others have highlighted some site have access issues, just contact the site in advance. Very different. I used to occasionally do as you did. So I would pay for the full Sunday stay as an example and leave at 8pm after 8 hours usage of the site. In this case the OP will arrive on site wit his Sunday booking cancelled as he did not take it up and in any event could not pay for it in advance. ON the CMC forum he was saying that he intended to arrive at 10am. He would not be seen as other than an early arrival. I gave him a suggestion in his first response on CMC forum. : 'I can only suggest that you Talk to the site staff. W&M. I would have thought they would wish you to arrive no earlier than the earliest site arrival time'. I repeat it here lest he missed it. Very different. I used to occasionally do as you did. So I would pay for the full Sunday stay as an example and leave at 8pm after 8 hours usage of the site. In this case the OP will arrive on site wit his Sunday booking cancelled as he did not take it up and in any event could not pay for it in advance. ON the CMC forum he was saying that he intended to arrive at 10am. He would not be seen as other than an early arrival. I gave him a suggestion in his first response on CMC forum. : 'I can only suggest that you Talk to the site staff. W&M. That’s not how it reads as posted on here! If the site staff know he is going to arrive the next day and he is prepared to pay for the missed night, no one is inconvenienced and no one is out f pocket so there should be no issue. Just seen the post on the CMC forum. What the poster seems to want is to arrive before the stated arrival time and, knowing this is wrong, is trying to justify this by saying they will pay for the night before arrival. I say wrong as they are clearly aware what the arrival times are. If it doesn’t suit then maybe they will need to reconsider. I can see no comparison with someone who is already on site leaving early. They are best advised to contact the site. Whilst if there was a genuine reason for arriving at 10am rather than waiting to depart from home later site staff might possibly agree, in this case I am doubtful but they can but ask. None of my business but it seems a great deal of hassle not to mention expense just to arrive two hours earlier. 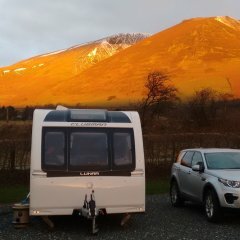 We arrived late one afternoon at a site and took one of the last couple of free pitches. Next morning someone moved off a more desirable pitch [ good view] so clearing it with the warden we moved pitch. I wasn't really prepared for the snarled comment from our new neighbour to the effect of what pull did I have that I had managed to arrive on site so early. No I'm not hiding anything. I dont want to travel in peak bank holiday traffic, seems reasonable. I have paid for the previous night with commercial sites under similar circumstances to arrive early next day. So I was asking if the same can be done with CMC, isn't this also reasonable? If the answer is No, that's fine, if that's the rule. But I dont accept this thing about denying others a pitch, we can all book at anytime we please, its first come first served, if others wanted the pitch then they could book it just like me. Also what I'm asking is exactly the same as staying an extra few hours on the last day of a holiday. By buying the pitch, you are denying a person that pitch too, if your not off by 12, how are you not? Easy T please dont paint me as trying to cheat or beat the system, that's not my intention. As said if it's not possible that's fine, options are Michelle comes down on the train, we arrive very late on Monday after peak traffic, arrive Tuesday or go to a commercial site. I'm very relaxed about the whole issue, it seems others dont seem to be. The issue is the access roads.I've had a row and been kept outside in the overnight area like a naughty boy when I've turned up at 10am when the rules said 12 midday.It could have (but didn't) caused a problem if somebody had been leaving whilst I was trying to get in.The wardens were typically very inflexible but rules is rules,I guess. My only thought on the whole thing was indeed access roads, more fool me! This appears to be a can of worms and I dont know why! But I want to pay for the privilege, but still the computer says no! We have a holiday booked in July for 15 nights, deposit paid, balance payable soon. I'm fairly confident we wont use the first 2 nights, I'm also confident that when we turn up at 9 am Monday we will get a cheery hello, how was the journey! Ah, but I know why ! You have to line up at 12 noon on the dot and run for places. I gave up on CMC sites five years ago . We have only been to one CMC site, car in front at the barrier, lady jumped out the car, I thought toilet, but no, went and sat on her chosen pitch till caravan arrived! Us, took the first one we passed. I never said you were. ID did say that you need to ask staff. I suspect that you will not be able to pay for the night that you do not attend also and that it will result in an unused booking. By all means ask.